So begins Annals of the Kingdom of Ireland as translated by John O’Donovan. The Cesair in question was the grand-daughter of Noah. Thus the Annalists began the story of the ‘Kingdom of Ireland’ from earliest times. The story continues through various chronicles, references and genealogies up to the year 1616. When Michéal Ó Cléirigh wrote this he was very conscious of the fact that the existing Gaelic lifestyle and order in Ireland was coming to an end. Since he returned to Ireland in 1626 his work to copy old manuscripts was in some sense was a race against time, a fact borne out as many of the source material used to compile the annals and other manuscripts were subsequently destroyed in the wars that engulfed the country from 1641 onwards to the end of the 17th Century. His own ancestral lands and those of all the Gaels of Donegal were being sequestered by the Crown and parcelled out as part of the new Plantation of Ulster scheme. The Annals document the genealogies and successions of High Kings, Clan Chieftains, Important Poets and Historians. They recorded some of the political changes taking place as well as battles and feuds amongst the clans. Battles and wars with the Vikings, Normans and English invaders. In 1623 Tadgh Uí Cléirigh joined the Order of St Francis at the Irish College in Louvain as a lay brother. He took the name Michael or Micheál in Gaelic. Much speculation has been made why he did not take Holy Orders. Did he not have a knowledge of Latin? Was he too old? Did he want to concentrate on the study of manuscripts? Tadgh had arrived in the Spanish Netherlands sometime before 1620 and had been attached to a company of an Irish regiment led by Arthur O’Neill. This Arthur may be Art Uí Niall son of Art MacBarron Uí Niall, brother of the Earl Hugh O’Neill. Ever since the Irish defeat at Kinsale, recruiters had returned to Ireland to enlist men into Irish” tercios.” A tercio was made up of about fifteen companies consisting of between 200 to 250 men. It is interesting to note that an officer in this company called Patrick O’Donnelly went back to Ireland in 1615 to recruit men for Arthur O’Neill’s company. Could Tadgh have been one of these recruits? It would not be until 1632 until a second Irish “tercio” was recruited this would be led by Count Hugh Albert O’Donnell, emphasising the continued rivalry between the O’Neills and the O’Donnells. 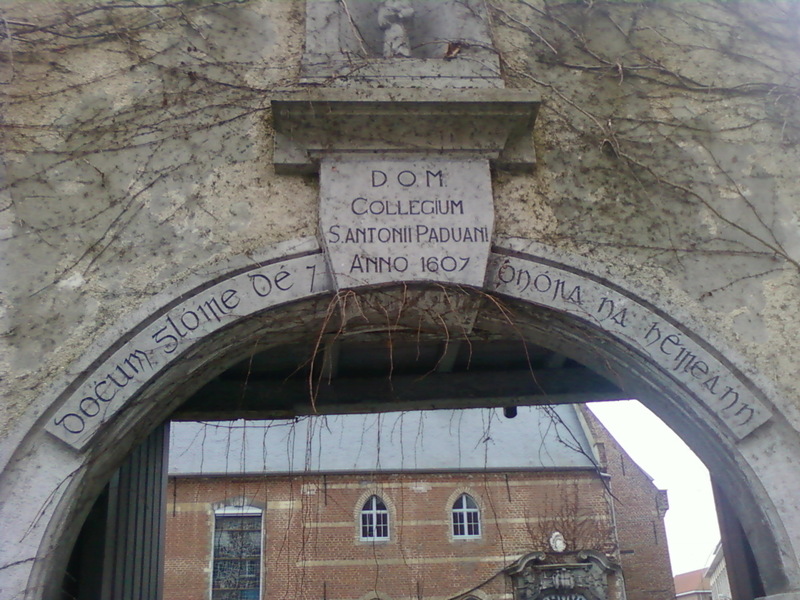 In April 1626 Fr Hugh Ward was made Guardian of St Anthony’s Irish College in Louvain. His mother was Máire NíCléirigh and most likely a relative of Br Micheal and probably from the area close to Kilbarron Castle and Church called Baile Macbhaird or commonly known as “Wardtown” Later that year he sent Br Micheal to Ireland to collect material to put together a work that would document the lives and works of the Irish Saints. 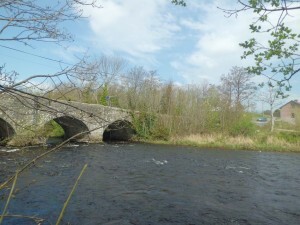 Mullinaleck Bridge over the River Drowes, the boundary between Counties Donegal and Leitrim. Of the two other scholars who joined Mícheál and Cú Coigcríche Uí Cléirigh on the Felire na Naomh na hEirinn or Lives of the Irish Saints,one was Cú Coigcríche mac Tuathal Uí Duibhgeannáin who was born about or after 1590 and he came from an area close to Castlefore in Co Leitrim. When he joined the Franciscans his name was Latinized to Pereginus (anglicized Peregrine) and where he took holy orders at Louvain in the Spanish Netherlands, now in modern Belgium. His family, the Clan Uí Duibhgeannáin, were professional historians from Annaly, which latterly became part of Co Longford. They were the Ollamhs to many of the leading Gaelic families of north Connaught and west Leinster, including the O’Conors, O’Farrells and O’Ruaircs. Their principle residence was at Kilronan near Lough Key in Co Roscommon where they also had a bardic school. Like the O’Cléirighs in Kilbarron parish in Tír Connaill, they were erenaghs to the church lands in the parish of Kilronan. Additionally they also had a residence and another bardic school at Castlefore in Co Leitrim and where members of the Uí Duibhgeannáin family were living up until at least 1636. It is not known if he travelled from Louvain with Mícheál in 1626 or if he was already in Ireland. He too was an important member of the team as he would have had access to manuscripts in the possession of his Ollamh family. An ancestor Magnus Uí Duibhgeannáin was the chief compiler of the Book of Ballymote (circa 1415); Dubhthas Óg Uí Duibhgeannáin annotated the original Book of O’Hara, which was compiled in 1597. Again this scholar, apart from his obvious knowledge of history had the necessary credentials to gain Br Mícheál permission to access materials in the care of the various learned ollamh families who guarded their books and manuscripts with great care and diligence. He would work alongside Cúcoigcríche Uí Cleirigh for most of the various projects undertaken in the coming years. 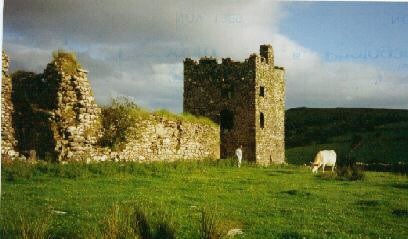 Pictured here are the ruins of Kilronan Abbey. According to tradition St Ronan and his daughter St Lasair established a church here on the banks of Lough Meelagh in the 6th century. 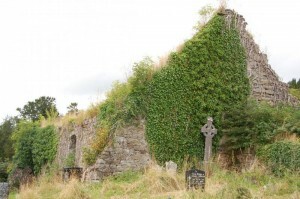 The present church ruin, which dates from the 14th century, was built by the Uí Duibhgeannáin (O’Duignan) family. The Romanesque doorway on the south side may date from an earlier 12th century church. 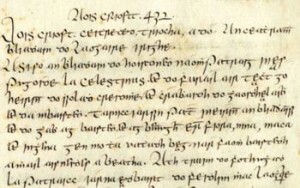 The role and number of Ollamhs was restricted by Brehon law and by the 15th Century there were so many learned members of the Uí Maolchonaires that they became freelance scholars who would offer their scribal services to any family or individual wishing to get a copy of a book or manuscript or were prepared to pay for a new rendition. From this we can ascertain that his father was Loclainn who in turn was a grand nephew of the famous poet Muirgheas Uí Maoilchonaire. He was also a distant cousin of Fláithri Uí Maoilconaire better known as Florence Conry, founder of the Irish Franciscan College of Louvain in the Spanish Netherlands where both Michéal Uí Cléirigh and Cú Coigcríche Uí Duibhgeannáin were students. Fearfeasa along with Cú Cogcríche Uí Cléirigh were lay members of the scribal group and were possibly paid a small stipend for their services. The next project called the “Reim Rioghraidhe’ or Royal list was sponsored by Turloch McCochlann who presumably as well as paying the scholars and scribes, provided funds for materials such as paper which by this time was becoming the modern and cheaper writing material. Parchment in contrast was expensive and took longer to prepare as it was made from calfskin. The work was begun in the house of Conall Mageoghegan of Lismoyny, Co Westmeath and the book was finished in the Observantine convent at Athlone on 4 Nov. 1630 and dedicated to Toirdhealbhach MacCochlain, chief of Delvin, King’s County. 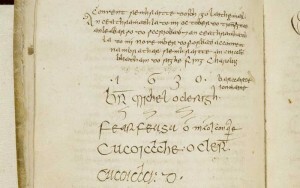 Signatures of the Four Masters on the “”Reim Rioghraidhe” including that of Cú Coigcríche Uí Duibhgeannáin whose signature is missing on the later Annals. “Though he (Br Mícheál) made his request of many, he found no one to supply him with the requirements for the completion of this work, except one person who was willing to assist him for the glory of God, the honour of the saints and of the kingdom, and the good of his own soul. And that one person is Toirrdhealbhach Mag Cochlain, the son of James etc., who forwarded this work and kept together the persons who completed it, with the help of all the private assistance which the aforesaid Convent daily gave them”. The area known as Dealbhna Eathra had been ruled by the MacCochlains from the 12th Century. 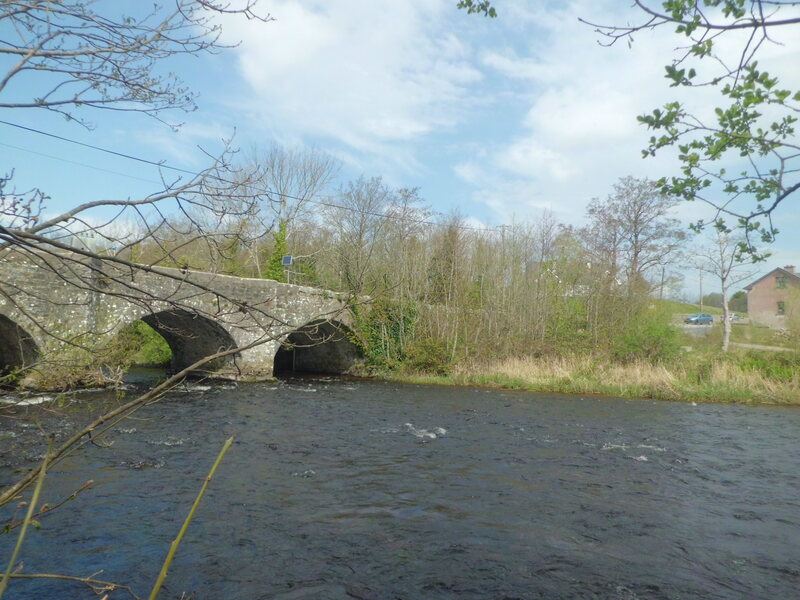 It was situated north of the Brosna River and bounded by the Shannon on the west. In 1551, as part of the surrender and re-grant policy the “Maw” John MacCoghlin agreed to surrender his chieftainship and was duly confirmed in his estates and granted a title from Henry VIII. In 1557 the lands of Delvin Eathra were joined to “Kings County becoming the barony of Garryglass. Toirrdhealbhain MacCochlain was born in 1600, his father James or Seamus Óg possessed Kincorra Castle and lands nearby the village of Ferbane. The elderly Sir John Mac Coughlin died in 1590 and was succeeded in the chieftainship by his son John or Sean Óg. He vacillated between supporting the English and supporting the Ulster Chieftains during the Nine Years War. Subsequently, untrusted by the Dublin administration, the MacCoghlin lands were planted along with a good part of West Offaly in 1620. The eastern part of the County had been part of the plantation of 1556 and was named Kings County, ironically, in honour of Phillip II of Spain and husband of Queen Mary, the last Catholic Queen of England, nearby Laois was named Queens County in her honour. 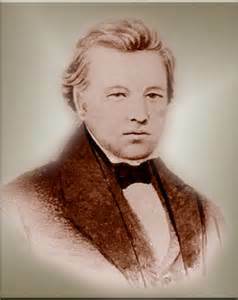 Terence MacCoghlin’s family managed to keep their estates by accepting the King and professing loyalty. He built a castle at Kilcolgan and became a burgess of the new incorporated town of Banagher, later sitting as one of its two members of the Irish Parliament in Dublin. He died in 1653. In the autumn of 1631 the scribal team were on the move again this time to Lisgoole in Co Fermanagh. They were invited by Brian Ruaidh Maguire, Lord Enniskillen, who was the leader of the senior branch of the Maguires and whose family had ruled Fermanagh for centuries before losing the Chieftainship to the junior branch based in Enniskillen in the mid Sixteenth Century. Smarting over the loss of the Chieftainship the senior branch had taken the English side during the Nine Years War. In return they had been promised the Lordship of Fermanagh but were latterly only granted the barony of Magherastephena in the Ulster Plantation. Brian Ruaidh became Baron Enniskillen in 1625 and died in 1633. Brian Ruadh wanted a new recension of an older book called Leabhar Gábhála na hEirinn or the Book of Invasions. To assist them in this work was Giolla Phádraig Ó Luinín whose family had been the Ollamhs to the Maguires for many centuries. Lisgoole Abbey had been a Franciscan Friary prior to the Nine Years War and although the friary had been dissolved, the friars remained in the vicinity. Lisgoole had even been considered as a site for the County town of Fermanagh by Sir Arthur Chichester at the time of the Plantation of Ulster but was persuaded to choose Enniskillen instead due to its more defensive location. The Annals of Clonmacnoise, ending in the year 1227. The Annals of the Island of Saints, ending in 1227. The Annals of Senat MacMagnus (Ulster Annals) ending in 1532. The Annals of the Ó Maoil Conaire ending in 1505. The Annals of Kilronan (compiled by the Ó Duibhgeannains) 900-1563 Annals of Lacan (compiled by the McFirbisses) The Book of Cucoigchriche Ó Cléirigh. (mac Diarmaid Ó Cléirigh) 1281-1537. The Book of Maolin óg Mac Bruodin 1588-1603 The Book of Lughaidh Ó Cleirigh 1586-1603 Leabhair Gabhála (Book of Invasions) compiled at Lisgoole earlier in 1631. Over the following years, books such as the “Annals of the Island of Saints” and the “Annals of Kilronan” were lost, perhaps happening in the subsequent upheavals and wars of the 17th Century. 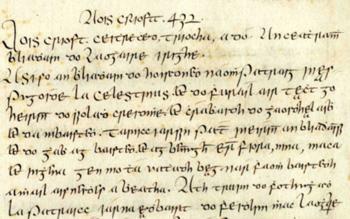 Mícheál Ó Cléirigh in the course of his travels throughout the country was able to see and copy from many books and it is inconceivable that he would not have made notes from such manuscripts. However he would have to find a sponsor to finance the project. The person who agreed to finance the project was Fearill Uí Gadhra, Lord of Coolavin who owned extensive land in part of County Sligo on the shores of Lough Gara and centred in their ancestral home of Moygara Castle. Moygara castle was the chief residence of the O’Gara’s. The O’Donnells attacked it in 1538 and it was also attacked by a band of mercenary Scots, who burned the buildings, in 1581. The O’Donnells were constantly claiming overlordship of North Connacht which did not sit well with either Anglo Norman or Gaelic Chieftains of the area. Subsequently the castle was rebuilt and it is apparent judging from the number of gun loops, the style of windows and the slight angle of the towers that the building dates to the late 16th or the early 17th Century. Although Fearill O’Gara’s father Tadgh, joined into the rebellion (Nine Years War) in 1589 against the English, he remained in possession of most of the family estates, possibly through the fact that he was under the ward-ship of Sir Theobald Dillon the head of a powerful Anglo-Norman family, whom remained loyal to the crown. It is not entirely clear why Fearill O’Gara agreed to sponsor the Annals. He was one of the wealthiest men in County Sligo and may have sympathised with the aims of the project. Perhaps like people interested in family research today, he wanted to know his own family roots and perhaps Mícheál Ó Cléirigh provided his sponsors with their own family pedigree as part of the deal. In addition, these were troubled times and there was a mounting tension and unease amongst the landowners in Ireland (of all religious hues) that their lands were under threat of confiscation. The Royal Exchequer was cash strapped and King Charles was unwilling to recall the English parliament to ask for money –so he determined to raise the necessary revenues in Ireland. In 1632 Thomas Wentworth became Lord Deputy and amongst many revenue raising plans, set about a scheme to confiscate lands in Connacht though supposedly defective titles which would then allow the government to claim that these lands belonged to the crown. This attempted scheme of confiscation although never carried out, would later be one of the contributory factors in the rebellion of 1641. In 1634 Fearill O’Gara was chosen to be one of the two members representing County Sligo in the Dublin Parliament called that year. He would later serve in the Confederate Parliament in Kilkenny. The O’Gara lands were confiscated in the Cromwellian land settlements of the 1650s and granted to Lord Kingston of Boyle, Co Roscommon. Fearrill O’Gara died sometime after 1668. The Annals of the Four Masters is not merely a compilation of older historic manuscripts. A chronological format is used in recording the historic information, noting any significant event for the particular year but leaving spaces in the text where any additional information could be inserted at a later date, if found and deemed worthy of entry. Editorial discretion was used omitting events that seemed unimportant and embellishing episodes if thought necessary! The Annals begin by using the semi mythical information gleaned from the “Leabhair Gabhála” or the Book of Invasions, (the book that had been copied by the team for Brian Ruaidh MagUidir (Brian Roe Maguire) in 1631. 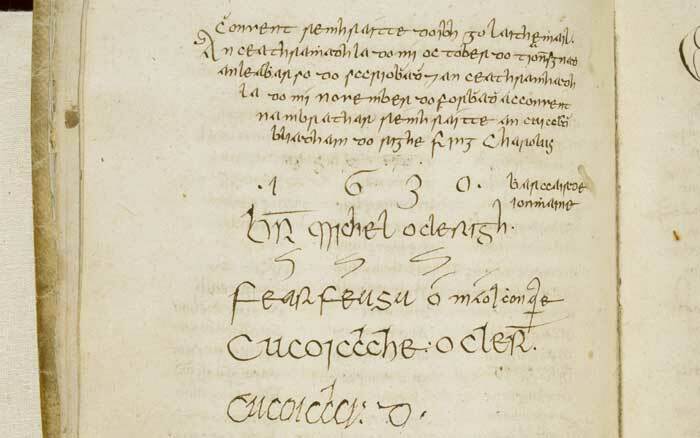 All four; Cú Coigcríche Ó Cléirigh, Cú Coigcríche Ó Duibhgeannain, Fearfeasa Ó Maoil Conaire led by Mícheál Ó Cléirigh worked continuously throughout 1632 and into 1633. The team completed the annals up to the year 1208 and at this stage took a break from the work for the rest of the year 1633. The group re-assembled in the beginning of 1634 at the Drowes. They began work on a new volume of the Annals beginning at the year 1208. There is no particular significance with the first volume ending in 1207 and it possibly just coincided with their decision to take a break from the work of the Annals towards the end of 1633. In August 1633 Mícheál made a copy of the Martyrology of Gormon at Drowes and spent most of the rest of the year collecting source material for the annals. He was in Co Clare in August of that year. All the original members of the group worked on the next volume up to the year 1332. Then it seems that Cú coigcríche UíDuibhgeannáin and Fearfeasa Uí Maoil Conaire left the group at this time. The former may have been in poor health as it has been noted that in the earlier work of “Seanchas Riogh Ereann Genealtighi na Naomh nEreannach” completed in Athlone, his signature is written on the manuscript but the handwriting is feeble suggesting that he was of an elderly age in 1630 and may have been unable to take any further part in the project. It is unclear why Fearfeasa Uí Maoil Conaire left but his cousin Muiris Uí Maoill Conaire spent a month contributing to the project. Others including Giolla Padraig Uí Luinín came to work on the annals. However from 1635 onwards the bulk of the scribal work was done by Mícheál and Cú coigcríche Uí Cléirigh, helped by Mícheál’s older brother Conaire whose contribution must have been immense as he also signed the final page or testament leaving a deferential space for the signature of Cú coigcríche UíDuibhgeannáin, suggesting that he was still living when the annals were completed. The Annals were not intended to merely be a history of Ireland but to be also a political statement suggesting that Ireland was a distinct nation even though this concept was barely understood by the Irish themselves as the old clan rivalries still existed as well as the enmity between the Gaels and Anglo-Normans. The annals end in the year 1616 recording the death of Hugh O’Neill. Earl of Tyrone and the leader of the Irish in exile. His death was seen by the Gaels of Ulster as the end of an era and it is significant that this date was chosen as the date to finish the work as twenty years had elapsed since his death. This instruction would lead Mícheál to begin his final journey around Ireland to collect the approbations of those who would attest to the veracity and accuracy of the completed Annals. As well as the completion of the Annals in April of 1636 Mícheál writes “Naoimhshenchas naoimh Innsi Fáil” at Drowes. Later in the autumn he travelled southwards seeking approbations of his work from scholars and ecclesiastical authorities. In addition he transcribed an Irish translation of the Rule of St Clare for the Poor Clare nuns in Westmeath and travels to Co Tipperary and to Co Clare to see scholars such as Flann Mac Aodhagáin and Conchubar Mac Bruaideadha. 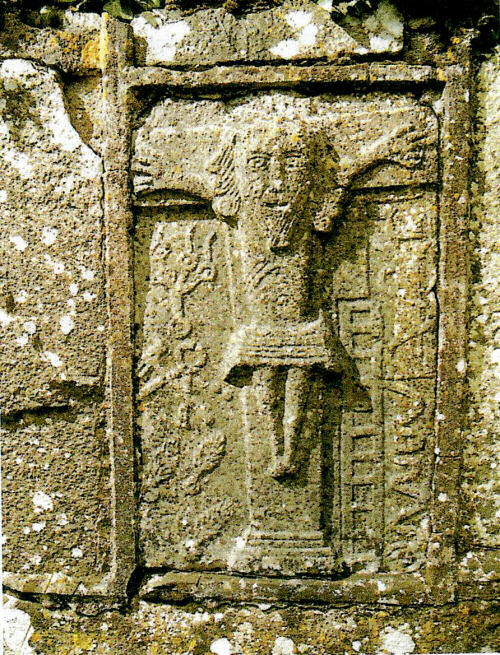 He later went to Galway to Maoileachlainn Ó Caollí (Malachy Ó’Quelly) Archbishop of Tuam, and obtains approbations from each of them for “Genelogiae regum et sanctorum Hiberniae, Félire na naomh nÉreannach and for the Annals” In early 1637 he travelled to Kildare and Dublin for further approbations from Bishop Roche MacGeoghegan of Kildare and Thomas Fleming the Franciscan Archbishop of Dublin and former professor at St Anthony’s, Louvain (Leuven). In July 1637 Mícheál bid farewell to his colleagues at the Drowes for the last time and began his journey to Carrickfergus where he stayed with the Franciscan community there before boarding a ship for Scotland. 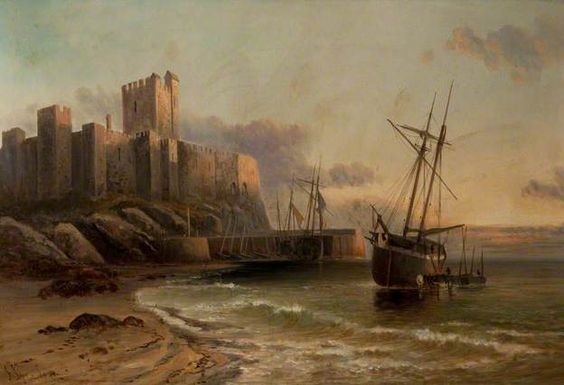 Carrickfergus was at that time a busy port with much trade between the two countries and also being the main entry point for the thousands of Scots coming to Ulster to take up land portions allocated to them in the recent plantation scheme. Once in Scotland he would have made his way to the east coast of the country. At that time there was considerable trade between Flanders and Scotland with wool and coal being exported though the ports on the Fife and Lothian coast of Scotland but principally through the port of Leith beside the city of Edinburgh where it is likely that he sailed from there to the port of Bruges or Ghent and onwards to Louvain. Mícheál Uí Cléirigh got back to Louvain towards the end of 1637. 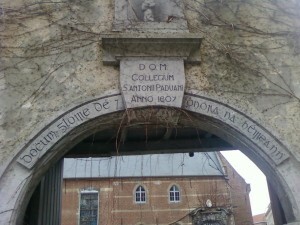 We know nothing of how he was able to bring the manuscripts all the way back to St Anthony’s College. Did he bring them with him or were they smuggled over a period of time back to the Continent? When he got back there, he learned of the death of his mentor Fr Hugh Ward, the man who sent him back to Ireland to gather information on the lives of the Irish or Gaelic Saints. It was planned to eventually publish the “Annála Ríoghachta na hÉireann” or The Annals of the Kingdom of Ireland using the printing press that the Franciscans had obtained and were using to produce religious tracts and catechism for use in Ireland. However Tuileagna Uí Maoilconaire, a member of the Connacht Ollamh family and cousin of Fearfeasa Uí Maoil Conaire and Muiris Uí Maoil Conaire, raised an objection to the work of the “Four Masters” in their list of Irish Kings and Saints or “Seanchas Riogh Ereann Genealtighi na Naomh nEreannach” (by implication also the Annals as the list of the Irish Kings and Saints were used as the basis for their chronology) He got both Flann Mac Aodhagáin and Conchubar Mac Bruaideadha to withdraw their approbation of the Annals and wrote his objections to the Provincial of the Irish Friars of the Order of St Francis. 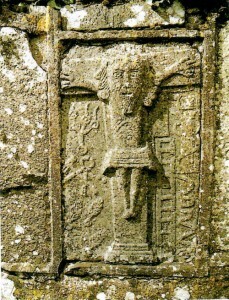 This objection involved the precise hierarchy of royal Gaelic families as the “Uí Niall” or descendants of Niall of the Nine Hostages which included the Cinéal Conaill and the Cinéal Eoghan (the Uí Domhnaills and the Uí Neills) were placed above those of the Ui Conchobhair (O’Conor) of Connacht, The “Connacta” being descended from the brother of Niall. In addition Tuileagna raised objections about different Kings listed as “Kings with opposition”. All this may seem rather obtuse today but there were sensitivities as the UíCléirighs would be expected to favour the Cinéal Conaill over the Uí Conchobhairs. Equally the Uí Maoil Conaire would be expected to favour the Uí Conchobhairs as they had been their Ollamhs since the 12th Century. In 1641 at a General Chapter of the Franciscans held in Multyfarnham in County Westmeath Fearfeasa Uí Maoil Conaire and Cú Coigcríche Uí Cleirigh were summoned to attend to defend their work on the “Annála Riochta Na hEirinn” (Annals of the Kingdom of Ireland) against the accusations of Br Tuileagna Uí Maoil Conaire, a distant cousin of Fearfeasa. Later in 1646 Fearfeasa wrote a testimony in support of their work to the Provincial of the Franciscans, in this testimony he notes that Br Mícheál Uí Cléirigh had died in Louvain in that year. He wrote: I make known to you, reader, that I have listened for a long time to Brother Tuileagna O Maolchonaire without making any answer to him in regard to four charges which he has made against the poor Friar Michel O Cleirigh, against myself, and against two other reliable historians, Cucoigcriche 0 Cleirigh and Cucoigcriche O Duibhgheannain ; both of whom and I co-operated with Michel in writing, completing and compiling, both in the easy and difficult portions, to the best of our ability, as much as we shall set forth below of the works which he had undertaken ; namely, the greater part of The Pedigrees of the Saints of Ireland together with The Succession of the Kings ; the whole Book of Invasions from a little before the Flood to the reign of Ruaidhri, son of Toirrdhealbhach Mor, O Conchubhair, King of Ireland with opposition ; the book of Annals and Chronicles of Ireland from the year which begins the first age of the world to the year of our Lord 1333 I and that the whole four of us are not jointly responsible as authorities for anything.. These objections and the ongoing rebellion in Ireland over the next number of years stalled the project and the Annals remained, as they were first written, on a shelf in St Anthony’s College for the next two hundred years. In October 1641 rebellion broke throughout Ulster with events occurring that would resonate down to the present day. The prophetic words of Mícheál Uí Cleirigh on the urgent need to compile a history of Ireland came to pass as over the next fifty years many of the precious books such as the Annals of the Uí Duibheannain’s, used by the annalists were lost, either through the events and destruction of the subsequent wars or in the years immediately afterwards. Many of the ancient manuscripts that survived the wars of the 17th Century were secreted within Gaelic families, who while cherishing these ancient texts, came into impoverished circumstances that caused subsequent generations to sell the manuscripts. It is believed that others of these cherished documents deteriorated through poor storage conditions in the ensuing years. Some like the Book of Lismore were secreted behind a wall and were luckily rediscovered in the 19th Century. In his introduction to the Annals John O’Donovan traced the story of the copy presented to the patron of the project Fearill Uí Gádhra by Mícheál Uí Cléirigh in 1636. The Uí Gádhras, Lords of Coolavin were dispossessed of their lands in South County Sligo the aftermath of the 1641 rebellion and subsequent Cromwellian land settlement. His grandson Owen O’Gara was head of the O’Gara sept in 1689 and was commissioned as a Colonel in the Jacobite army of King James II. After the Treaty of Limerick in 1691 he departed Ireland taking the annals with him to France. The story gets a bit more complicated after this and there are conflicting accounts as to what happened the manuscripts. Also to complicate things latterly numerous copies were made of sections of the original work. There were originally two volumes in the collection. At some stage these got separated going to different branches of the O’Gara family in exile. One of the volumes may have been in the possession of a Colonel O’Gara, who commanded the Irish Hibernia Regiment in Spain in 1734. This volume came into the possession of Dr Charles O’Conor of Belanagare, the O’Conor Don, an antiquarian and collector of Irish manuscripts. However there are two conflicting accounts as to how he came into possession of the manuscript. One that his grandfather Charles O’Conor got the volume in 1734 from Archbishop Brian (Bernard) O’Gara of Tuam (1723-1740). The other version is, that the volume was given by Colonel O’Gara to his uncle Doctor O’Rourke remarking that he would make better use of them (Dr O’Rourke was also the uncle of Charles O’Conor). This volume eventually ending in the Duke of Buckingham’s collection of manuscripts at Stowe in England and would be used by John O’Donovan to transcribe that part of the annals into both Irish and English. In 1831, George Petrie arranged for the purchase by the Royal Irish Academy of an autograph set of the post-1170 annals. This completed the set in their possession and were the second portion of the O’Gara copy of the Annals. This opened the way to begin the task of translating and notating the work. John O’Donovan a member of the Academy and an eminent Gaelic scholar began the task. He had been involved in the Ordinance Survey of Ireland in the 1830s where he travelled the country checking on the provenance of place names and correcting as much as possible where local names had been corrupted by poor translation from the original Gaeilge. It was also during this time he met George Petrie, Thomas Larcom and Eugene O’Curry. Many early attempts to translate the annals had been made, Owen Connellen completed a translation of the post 1170 portion of the annals to English some years before O’Donovan’s work. In the 18th Century Charles O’Conor of Belanagare had also worked on the annals. Their work was difficult as the Gaelige used by the annalists was an archaic and formal style known by the learned ollamh class in Gaelic society but over two hundred years later Gaeilge had changed as it had now become the language of the poor, not taught 1858or written formally. The remaining educated Gaelic gentry and middle class increasingly spoke English and Gaeilge was considered the language of poverty. This would be hastened with the setting up of the National School system in the 1830s and the ensuing events of the Great Famine (1845-1849) which would dictate that English was the language of advancement and necessary for those increasing numbers who saw that their only hope was to emigrate to England, Wales, Scotland or to the New World to places in the United States and Canada. 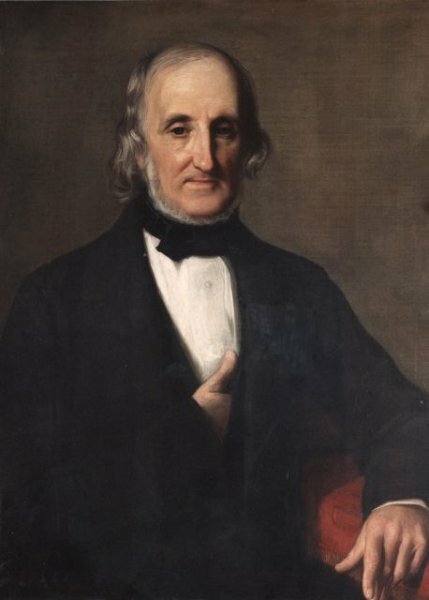 John O’ Donovan published the Annála Ríoghachta na hÉireann (Annals of the Kingdom of Ireland) or as they are also known as “Annals of the Four Masters” published in seven volumes between 1848 and 1851. 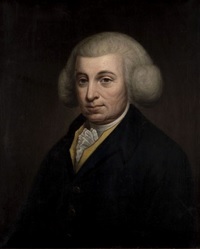 The translation was funded by a government grant of £1,000 obtained by the notable mathematician Sir William Rowan Hamilton, President of the Royal Irish Academy. The Annals were published in both Irish and English with extensive notes researched and written to give the reader the background to the text.